My lifeline has arrived! | Nicki Kinickie Nicki Kinickie: My lifeline has arrived! 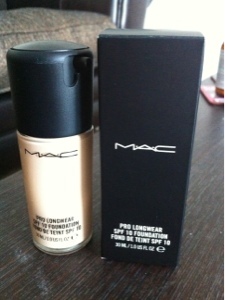 Despite the snow, my new MAC foundation arrived today undelayed and saving the day! As somehow I had managed to let my last bottle get down to the last dribble. If you are thinking of investing in a new foundation I thoroughly recommend this one or, if you feel this isn't for you then it is worth visiting a MAC counter to find one suitable for your needs. Anyone I know that has used MAC won't use anything else now.